Wednesday, Nov 19, 2008 Commentary: Why haven’t we heard from Osama bin Laden? 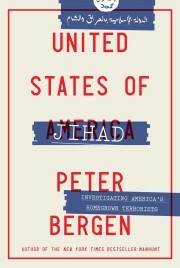 Editor’s note: Peter Bergen is CNN’s national security analyst and a fellow at the New America Foundation in Washington and at New York University’s Center on Law and Security. His most recent book is “The Osama bin Laden I Know: An Oral History of al Qaeda’s Leader.” (CNN) — If the audio message purportedly from al Qaeda’s deputy leader is authentic, we have finally heard from a representative of the terror organization about the American election. WASHINGTON (CNN) — A classified review of U.S. policy in Afghanistan is likely to judge that the United States is losing ground there, according to a government official involved with preparing the review. The Bush administration is making plans for the transition of management of the Afghanistan and Iraq wars to the next president. A review of Afghan policy has been under way for many weeks, led by Lt. Gen. Douglas E. Lute, the senior National Security Council official responsible for Afghanistan and Iraq. The classified strategic review is expected to be completed this week, according to a staffer involved in preparing it. One person who was supposed to weigh in on the American presidential election is someone we have yet to hear from: Osama bin Laden. Four years ago the al Qaeda leader appeared in a well-lit videotape addressing himself directly to the American people five days before they voted in the contest between Sen. John Kerry and George Bush. Bin Laden said then that whoever won the election was immaterial as far as al Qaeda was concerned and that instead Americans needed to change their country’s foreign policies in the Muslim world, or face the consequences. When a federal judge ordered the release of 17 Guantanamo Bay detainees earlier this month, it was the first real chance in the seven-year history of the prison camp that any of the prisoners might be transferred to the United States. In making his ruling, the judge categorically rejected the Bush administration’s claim that any of the released prisoners, who are all Chinese Muslims, were “enemy combatants” or posed a risk to U.S. security. The decision was temporarily suspended by the appeals court, but the judge was on solid ground. In late May, some 40 Pakistani journalists received a summons to an unusual press conference held by Baitullah Mehsud, the rarely photographed leader of the Pakistani Taliban, who is accused of orchestrating the 2007 assassination of Benazir Bhutto, sending suicide bombers to Spain earlier this year, and dispatching an army of fighters into Afghanistan to attack U.S. and NATO forces in recent months. Surrounded by a posse of heavily armed Taliban guards, Mehsud boasted that he had hundreds of trained suicide bombers ready for martyrdom. (CNN) — Toward the end of Friday’s presidential debate, the conversation turned to Iran and there was a long back-and-forth between the two candidates about what kind of conditions should be set for any discussions with the Iranian government. After al Qaeda blew up the USS Cole in October 2000 killing seventeen American sailors, I visited Yemen to check out Osama bin ­Ladens’s ancestral village in the Hadramaut region, in the south of the country. His father, Mohammed, left there as a teenager in 1931 to seek his fortune in what is now Saudi Arabia.